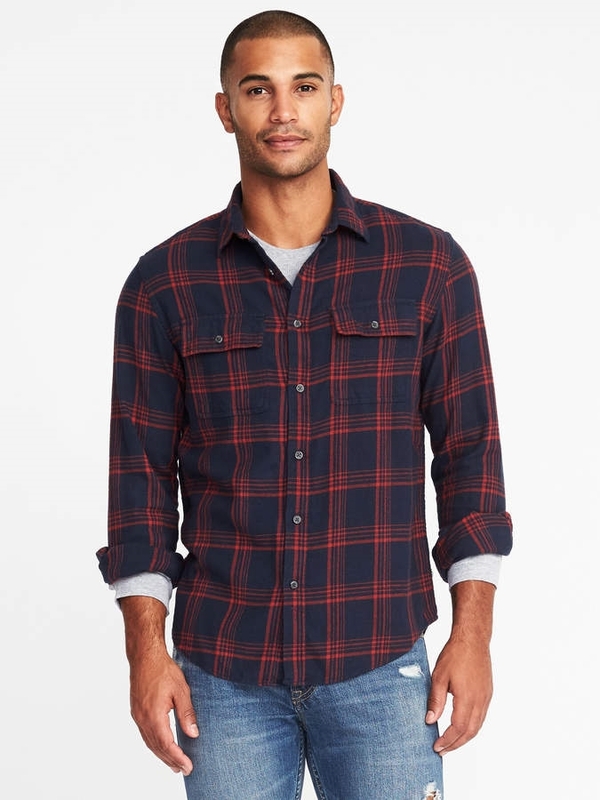 Long sleeves, with buttoned cuffs and buttoned sleeve plackets. 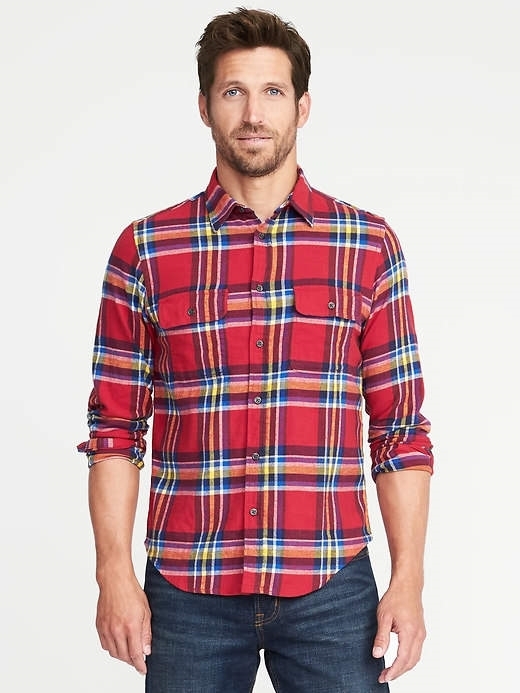 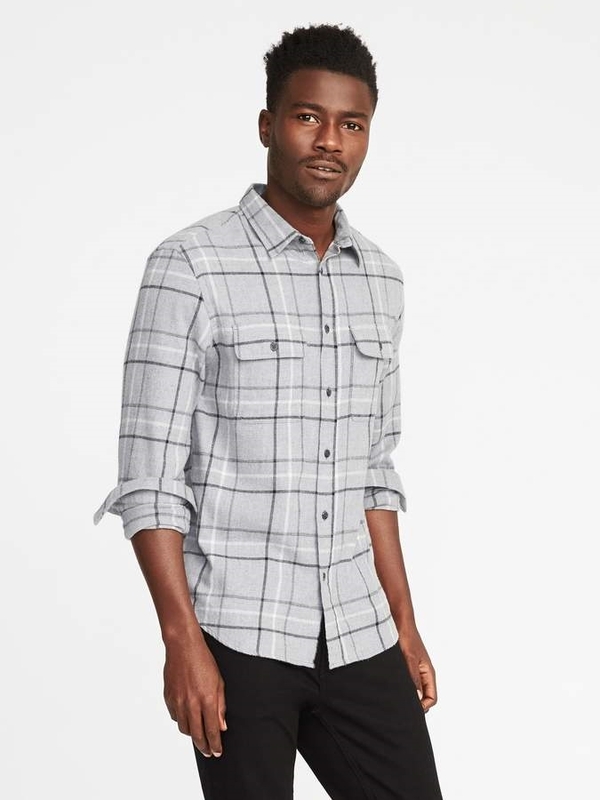 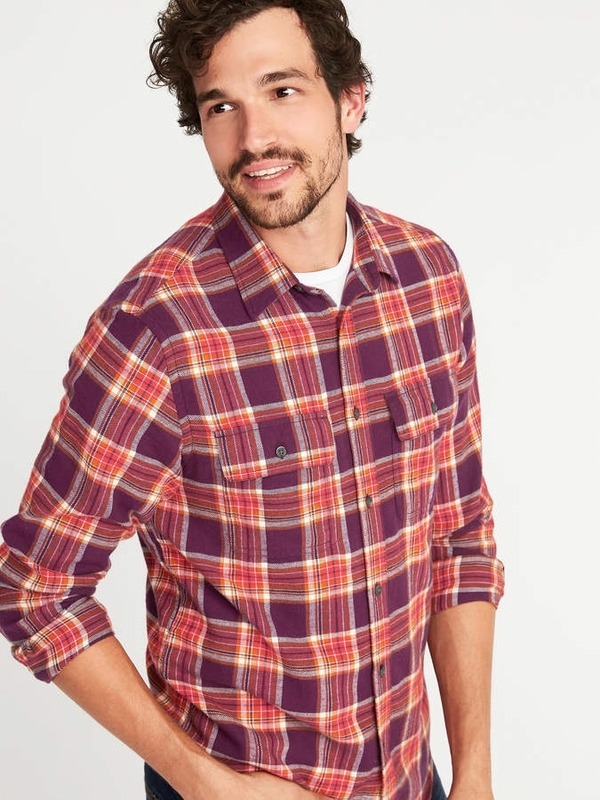 Soft-washed, double-brushed cotton flannel, with comfortable stretch. 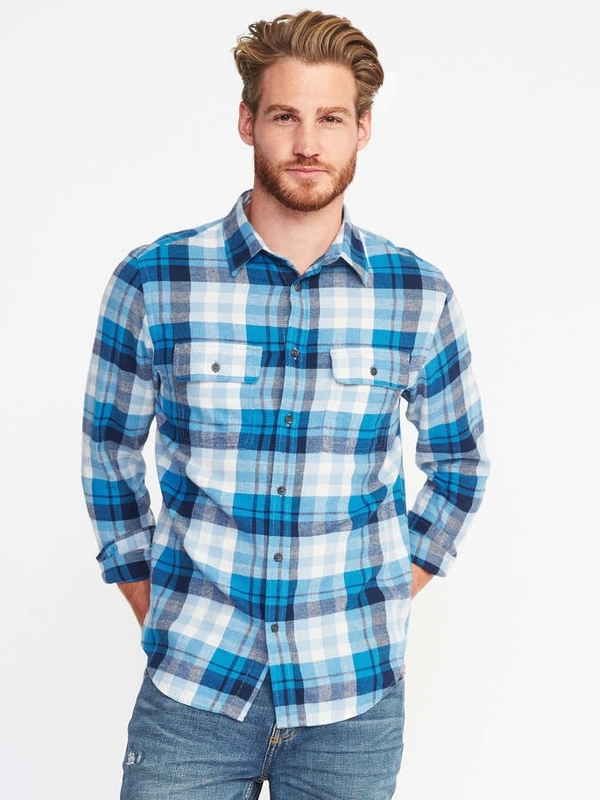 Model is approximately 6'1" and wears a size M.